I was at a conference recently with about 6,000 other people. There are no lunch breaks at this event, so when you get hungry, you go eat. There’s a take out restaurant in the hotel that has some healthy options. There are lots and lots of people and limited seating. If you can even find a seat, you usually have to ask to join someone at their table if they have an empty seat. That’s fun for me, because I like meeting new people and learning about what they do. One day, I met someone at lunch who lost 100 lbs. in the last year. She looked great now, and I never would have known that she was ever overweight if she hadn’t told me. As you know, nutrition is my thing, and since I also do weight loss coaching, I was curious to find out how she did it. She went on to tell me that she eats only 3 categories of foods and works out 3-4 hours every day. It’s still a constant struggle for her, even though she’s at a good weight now. She’s constantly battling the urge to eat and rigidly controlling her portions and what she eats. Wow! Major kudos to her for losing the weight, and at the same time, I felt really sorry for her, because she’s still mentally overweight. If she doesn’t deal with her emotions around food, she’ll always be fighting this battle, and if she slacks off, she’ll put the weight right back on. She feels good about the weight loss, and at the same time, she’s in a constant state of worry and stress fighting her urges to eat. The only way to fix it and keep the weight off for good is to deal with her emotions around food and eating. That’s the number one reason that most diets and weight loss programs don’t work – they don’t deal with the emotions. How many people do you know who’ve done Weight Watchers multiple times, because every time they stop, they gain the weight back? Maybe that’s you, too. And Weight Watchers knows their program doesn’t work. First they had people counting calories. That didn’t work, so they changed it to points, but you could still eat all sorts of unhealthy crappy food if you just counted the points. Constant stress about counting everything you ate! More proof it doesn’t work? They’re losing hundreds of thousands of subscribers and their stock price dropped 80% since last July. 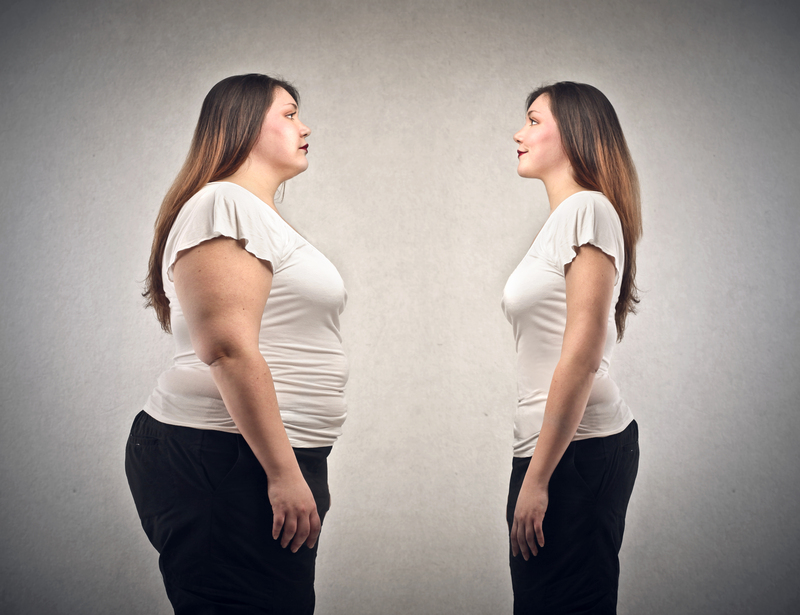 Other weight loss programs are the same – as soon as you stop, the weight comes back. Because they don’t deal with the emotional side. The Eat Right Forever System (ERF) works so well because step two of the 3E’s in the system is Emotions. We deal with the emotions around food and eating in step two, before we even get into the Eating Plan, which is the third “E”. Yes, a good part of losing weight is about what you eat. And a bigger part is what’s in your head, more than what you put in your mouth. People overeat, eat junk when they know it’s bad for them, eat when they’re not hungry, etc., because of emotions and unconscious mental patterns. If you don’t change those unconscious mental patterns, you end up exactly like the woman I had lunch with who’s constantly stressed and fighting her mind and emotions. It’s a constant struggle for her, and totally unnecessary! I don’t want that to happen to you! One way to start dealing with the emotions is to observe how you feel when you eat, especially if you overeat, stress eat, or eat food that’s unhealthy. There’s a lot more to identifying the deeper emotions and changing habits, and this is a good starting point – to become aware of how you feel when you eat. It’s Spring and time to think about beaches, vacations, wearing shorts and bathing suits. Now’s the time to clean up your diet and get back into your skinny jeans. You know you want to… And do it without being “mentally obese”.